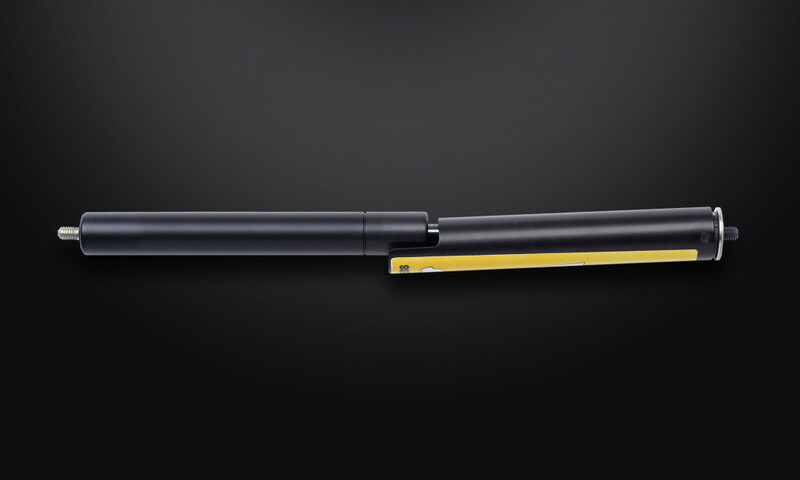 Our safety shroud gas springs – the Econoloc – eliminates the need for separate safety rods. They positively lock when fully‐extended, protecting the operator from potential injury in the event of overload or misuse. The Econoloc is manually‐released by applying thumb pressure to the designated area of the safety locking shroud, allowing the gas spring to compress in a controlled manner. The locking shroud is finished with the same coating as the gas spring body, providing excellent corrosion‐resistance. A guide inside the shroud prevents scratching of the gas spring cylinder. The Econoloc range of gas springs combine superior quality with the added safety feature required in many heavy duty applications such as trucks, construction machinery, switch gear and agricultural equipment. A single safety shroud gas spring is usually used in conjunction with our standard fixed force gas spring – the Swift and Sure..